Miso soup – warm and nutritious; an embrace in a mug. 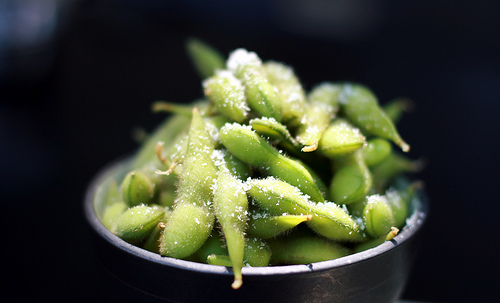 Salty or spicy edamame – the ideal nibble to start with. on the menu we also have Vegetable Gyozas as well as Vegetable Katsu Curries.